In many organization, the directors themselves plays the role of a manager, but it does not mean that the role of the two important ranks of the company is same. A director can be an employee, member or any other person, who is unanimously chosen by the company’s shareholder at the general meeting. In contrast, a manager is a paid employee of the company who possesses a substantial amount of knowledge, expertise, and abilities to manage the organization. The paramount difference between director and manager is that the director is a manager of all the managers working in the organization, i.e. production manager, sales manager, human resource manager, accounts manager, customer relationship manager and so on. On the other hand, the manager manages the work and performance of a particular division or department which is handed over to him/her. Take a read of the article presented to you, to learn some other differences. Meaning A manager is the person who is in charge of the specific unit or department of the organization and is responsible for its performance. A director is a person appointed by the shareholders to monitor and regulate the company's activities, as per the vision of the company. Leadership A manager provides leadership to its subordinates, by guiding what to do, when to do and by whom it is to be done. A director provides intrinsic leadership and direction. Basic function Implementation of plans and policies. Formulation of plans and policies. Ethics and Values The managers enact the ethics and values in the organization, formulated by the directors. The directors determine the ethics and values of the organization. Provisions on insolvency There are several duties and responsibilities levied on the directors, at the time of insolvency of the company. No such statutory provisions are imposed on directors, when the company becomes insolvent. In a real sense, the term manager can be defined as the individual who is responsible for the governing and controlling the organization. He/She is someone who always has his/her organization’s overall perspective in the mind and whatever he/she does are aligned towards the company’s objectives. A manager is the practitioner of management, which involves making optimum use of resources, i.e. Men, Machine, Material, Money, and Method, in order to attain the goals of the organization. He/she is an employee of the organization who is appointed by and reports to the board of directors. Looks after the day to day operations of the organization. Plans and organize tasks and duties. Convert corporate goals into the goals of the employees. Checks whether the tasks are performed as planned. A director can be defined as the elected and appointed member of the organization, whose primary function is to look after the activities of the organization. They are jointly known as the board of directors or say board. Board of Directors frames the plans and policies, create strategies, set objectives and goals of the organization. They are the ones, who decides the success or failure, along with the culture and practices of the company. A director is chosen by the company’s shareholder, at the annual general meeting of the company, who need not be a member or employee of the company. He/She derive their power and authorities from the law governing it and also from the articles of association of the company. The directors are the agent of the company and occupy the top position in the corporate hierarchy. They can enter into the contract on behalf of the company with a third party and thus bind the company. 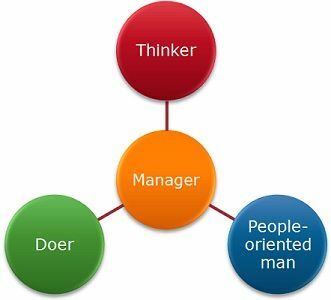 The person who is the chief of the specific unit or division of the organization and is responsible for its performance is called manager. In contrast, An individual selected by the shareholders to monitors and regulates the company’s activities, as per the vision of the company. One of the major function of the manager is to lead its subordinates by supervising or instructing them what to do, when to do and by whom it is to be done. On the contrary, the directors provide intrinsic leadership and direction to the managers and other senior staff of the company. While a manager belongs to middle-level management, director belongs to top-level management. A manager is responsible for the company’s overall management, i.e. work and performance of the entire department or unit, which is monitored by them. As against this, the director looks after the administration of the entire company. The role of a manager is executive and governing in nature. Unlike, the role of the director is purely decisive and legislative. The primary function of the director is to frame the plans and policies for the organization. On the other hand, the manager is supposed to implement the policies and plans formulated by the top management. A manager looks after the day to day operations of the enterprise and thus makes short-term plans for the company. Conversely, the director makes long-term plans for securing the company’s future. The managers report to directors while a director reports to the company’s stakeholders. The managers implement the ethics and values in the organization, formulated by the directors whereas the directors determine the ethics and values of the organization. At the time of insolvency, there are several statutory responsibilities levied on company’s directors which is not in the case of a manager. All in all, the scope of a director is greater than a manager, as it is a director who is responsible for the success or failure of the company. A manager only works as per the orders of the directors. The director is the key man of the company, who lays down all the plans, policies, procedures, programs etc. so as to attain the ultimate goals of the organization. On the other hand, a manager follows the instructions of the Director and supervises his/her subordinates to work in the pursuance of the goals of the organization. Its an interesting article. I have likely the systematic way it is organized. very clear explanation. it adds to me a lot..